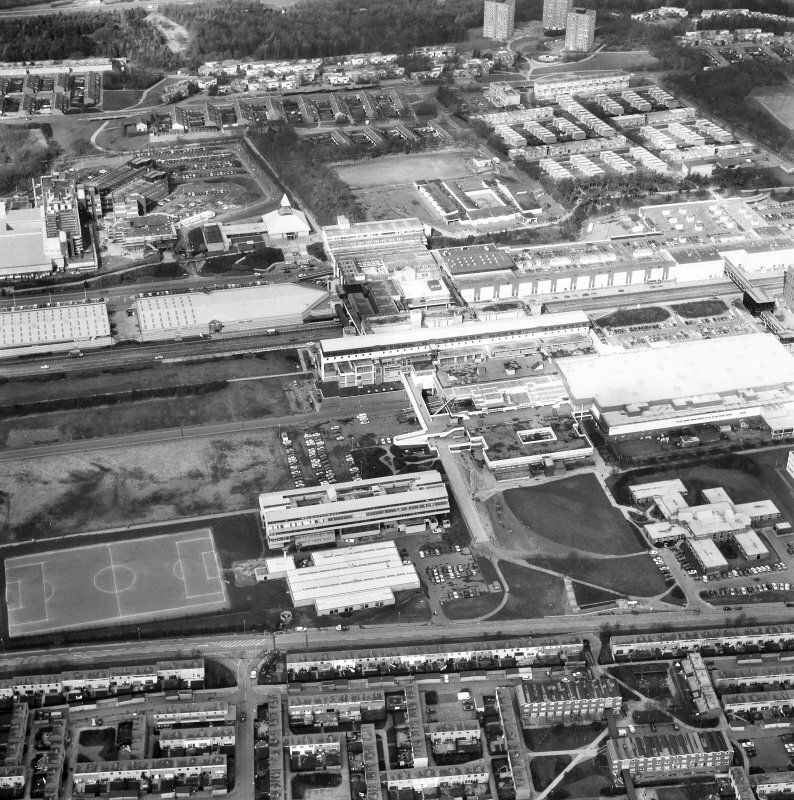 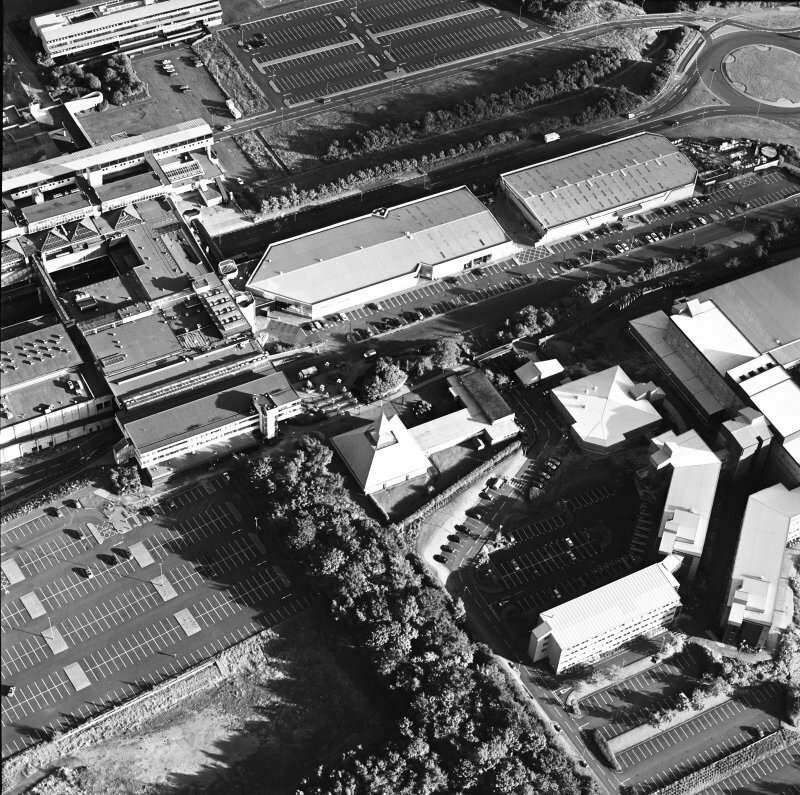 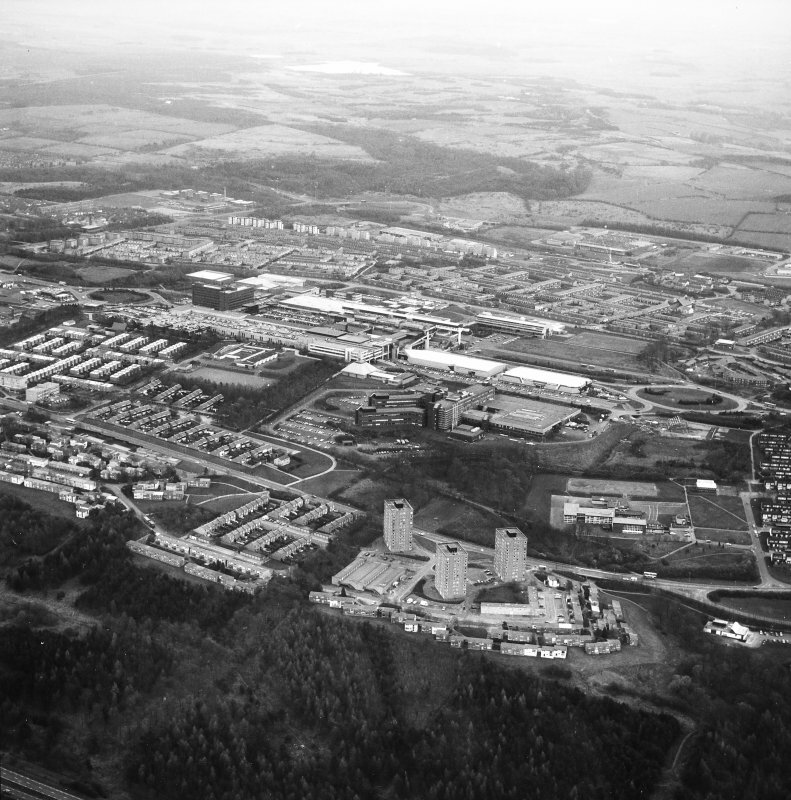 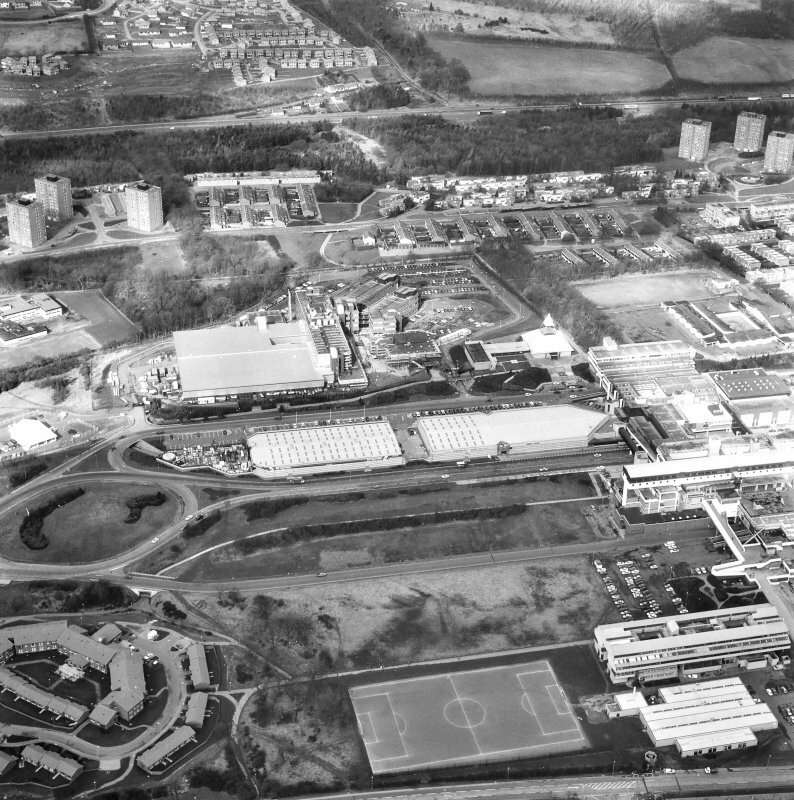 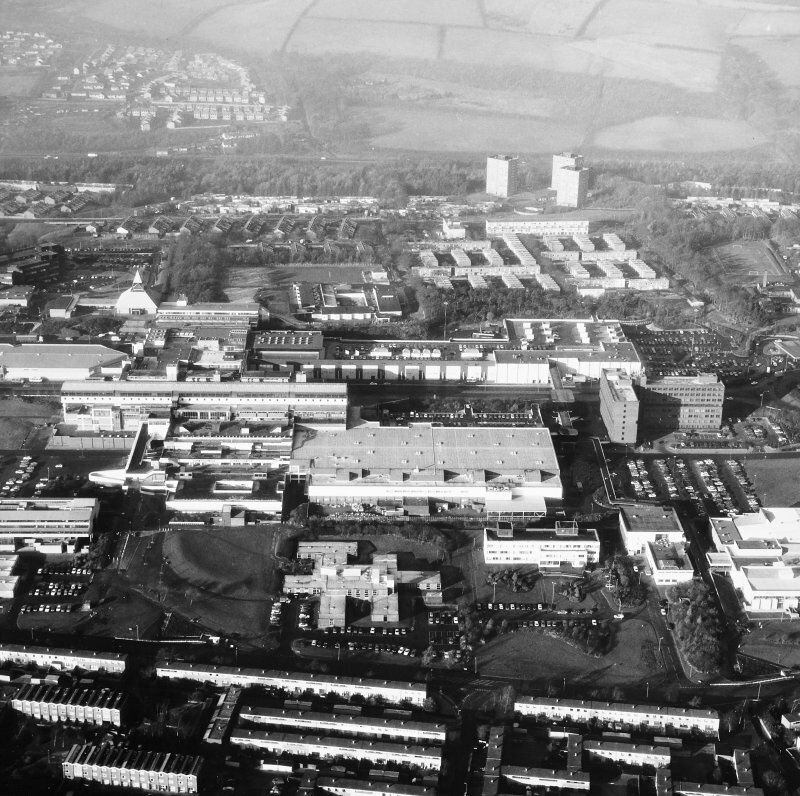 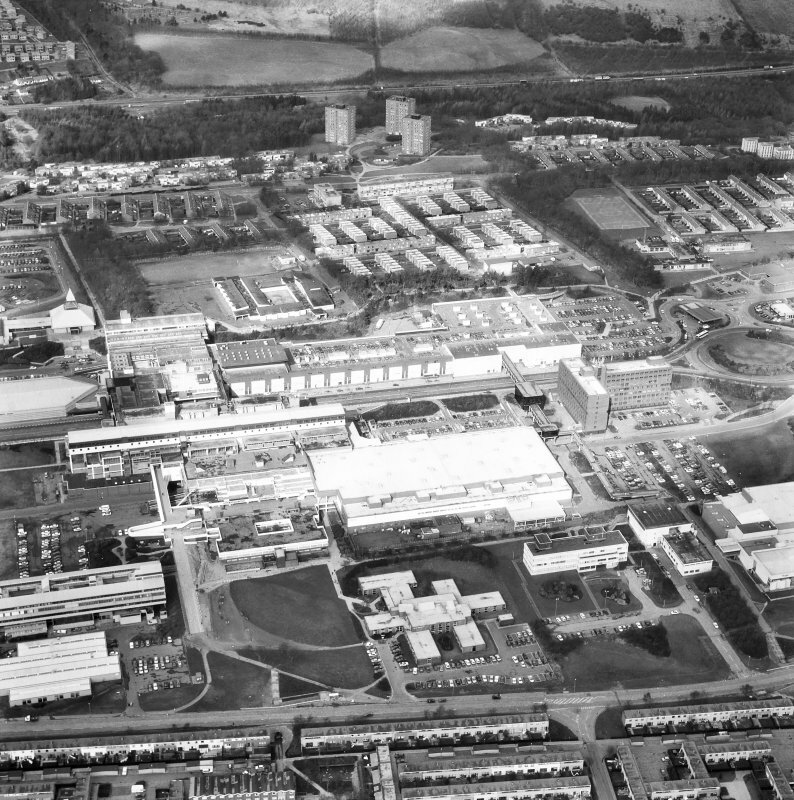 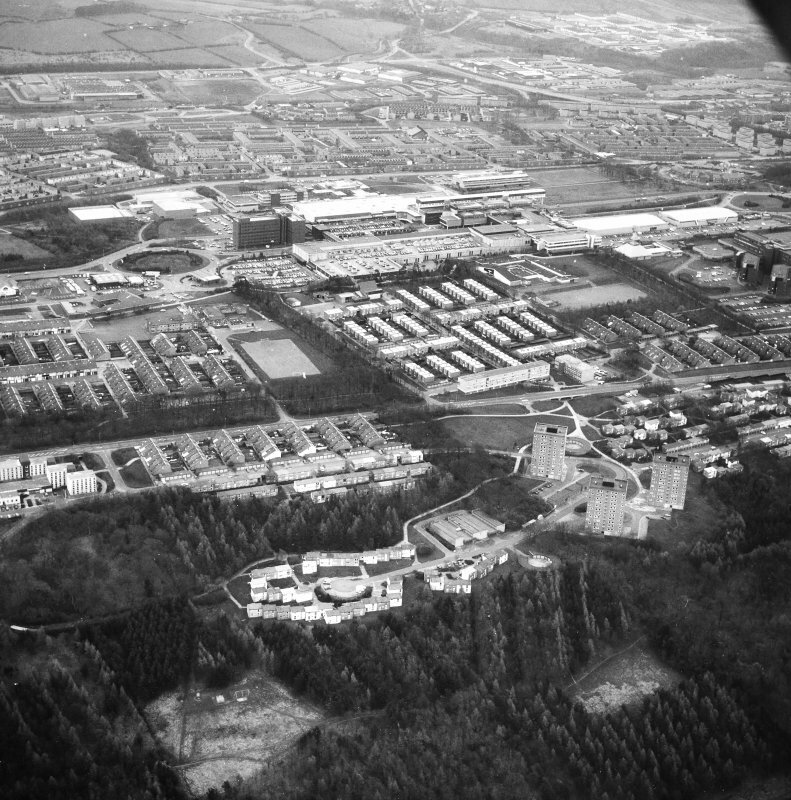 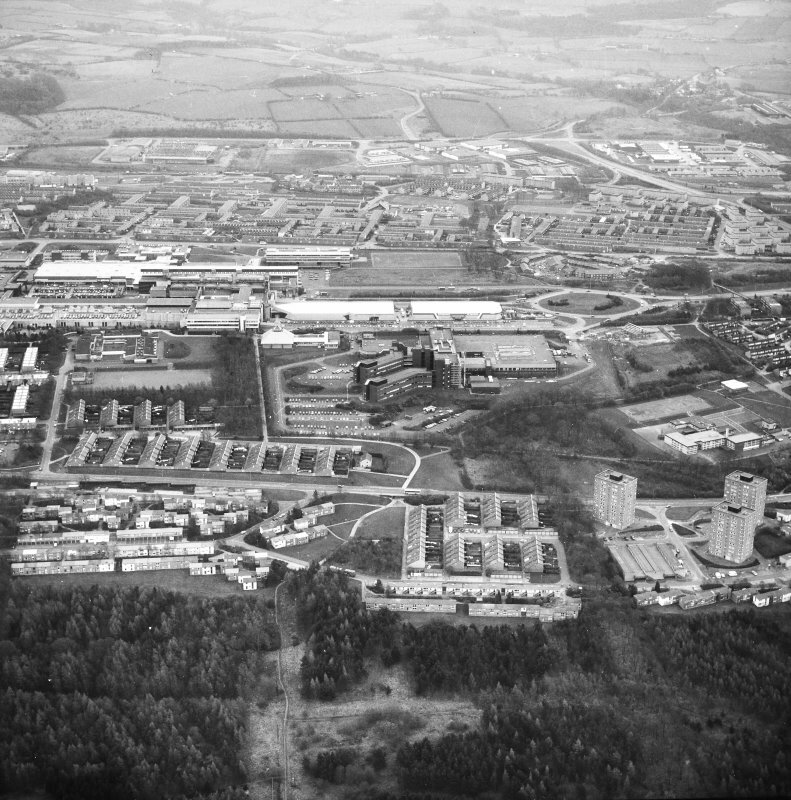 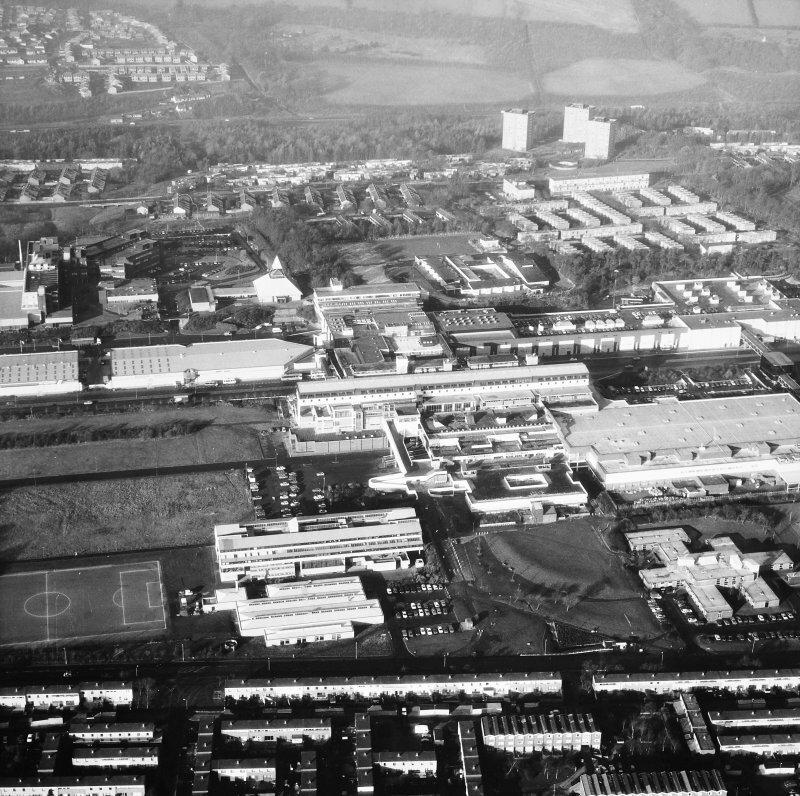 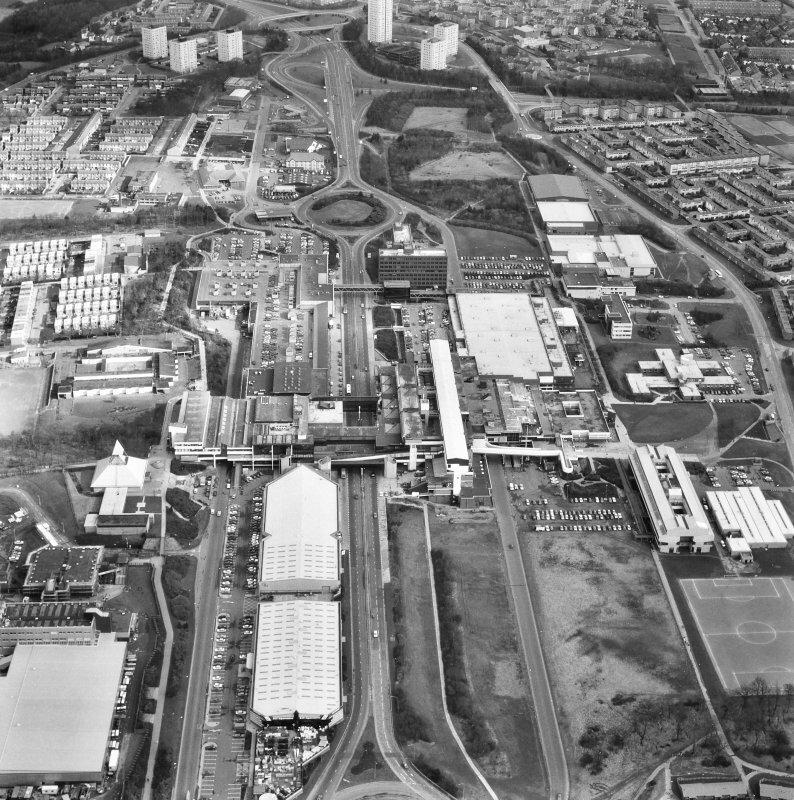 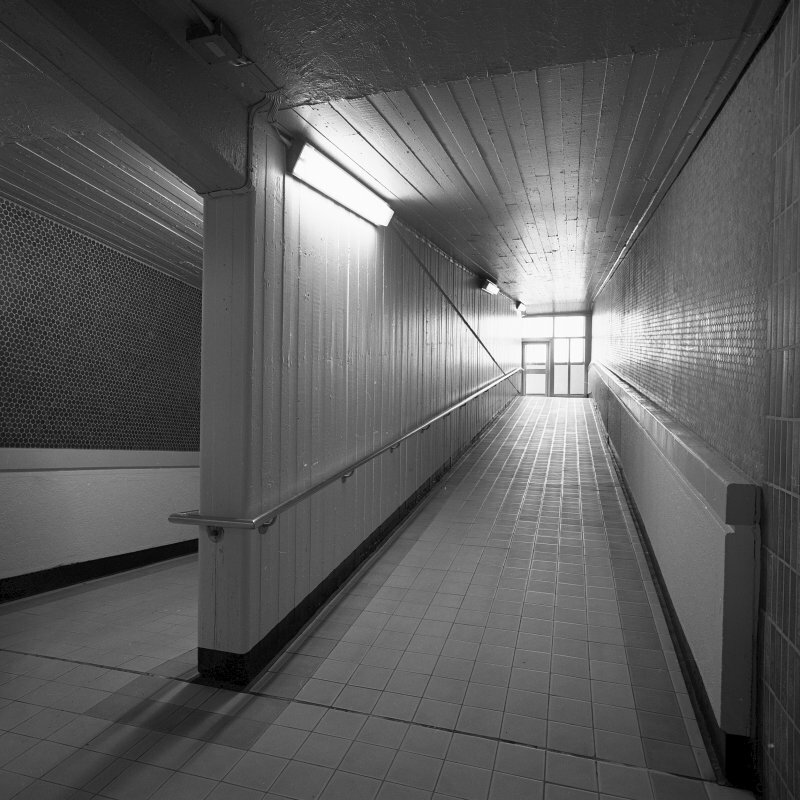 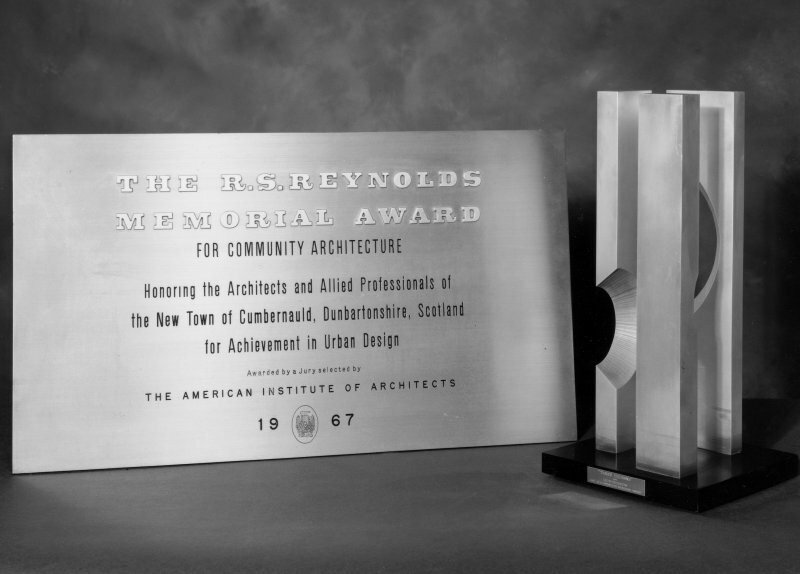 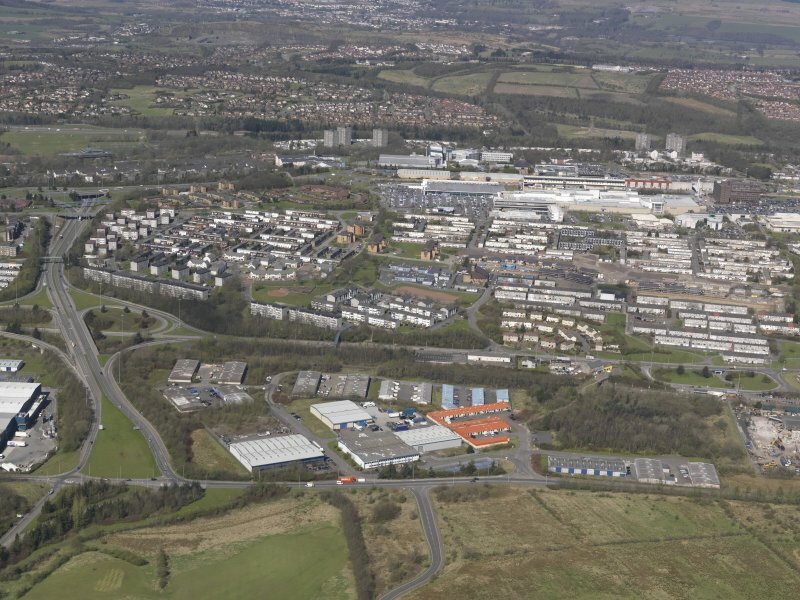 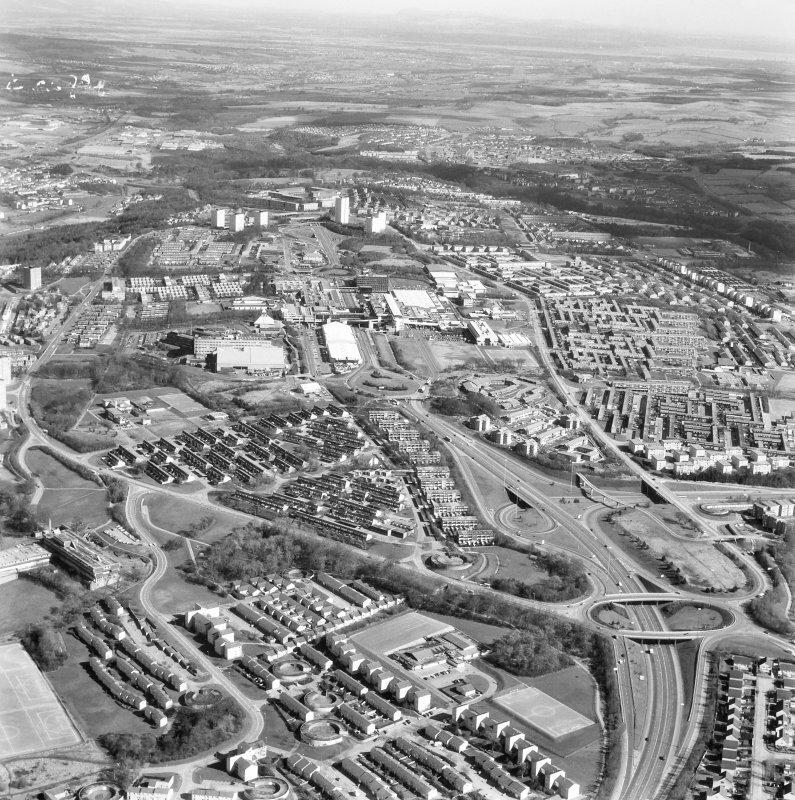 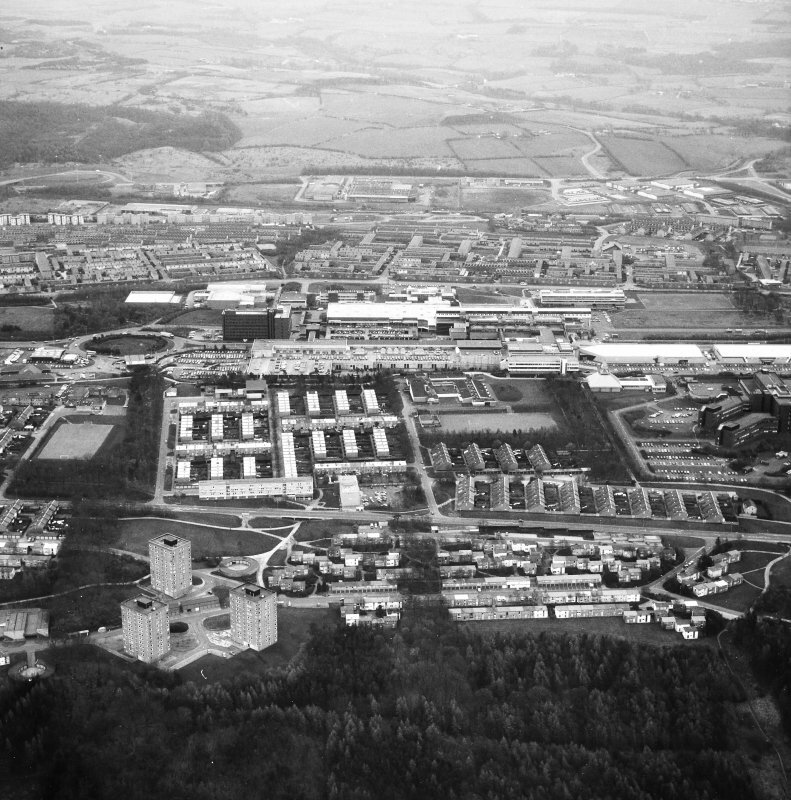 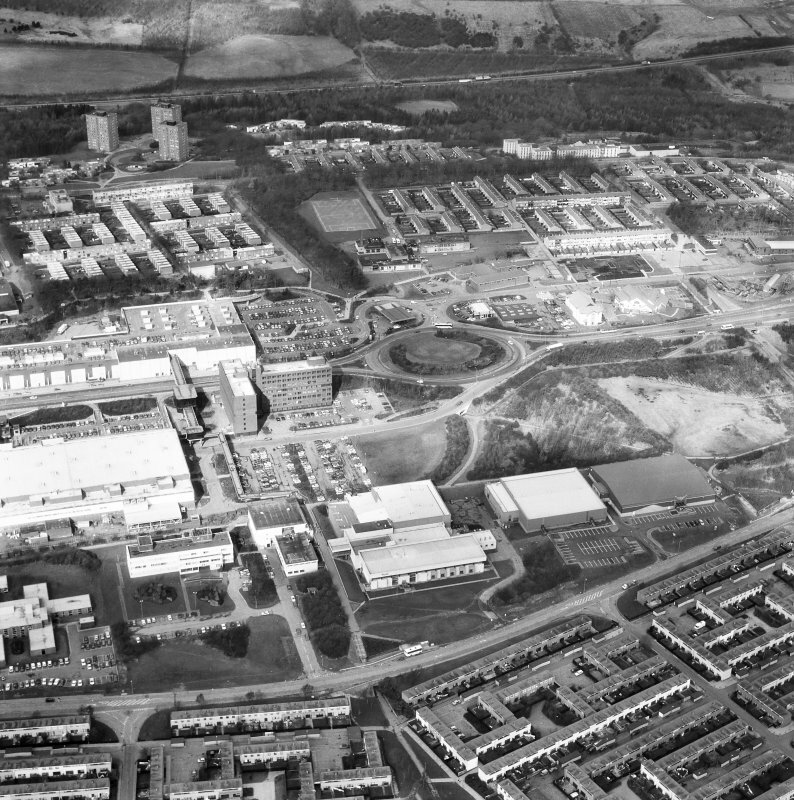 Built from the 1960s, Cumbernauld New Town accommodated 70,000 residents in dense low-rise housing and tower blocks. 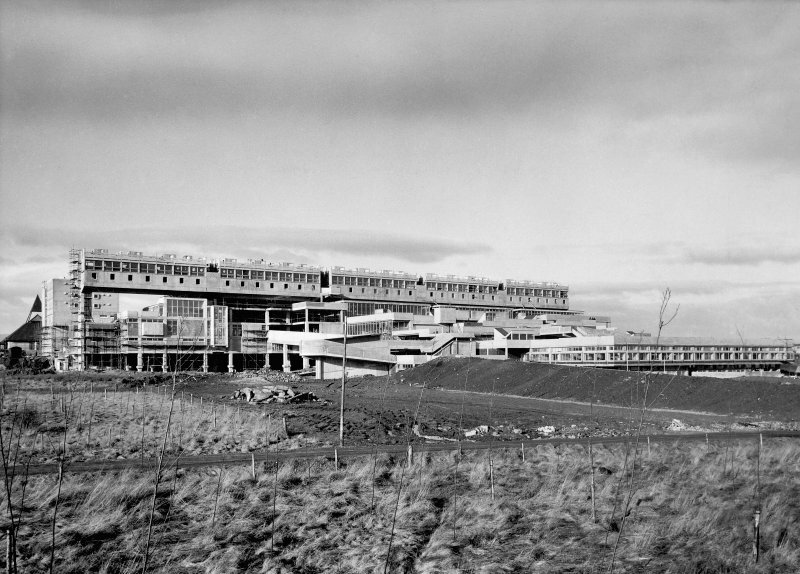 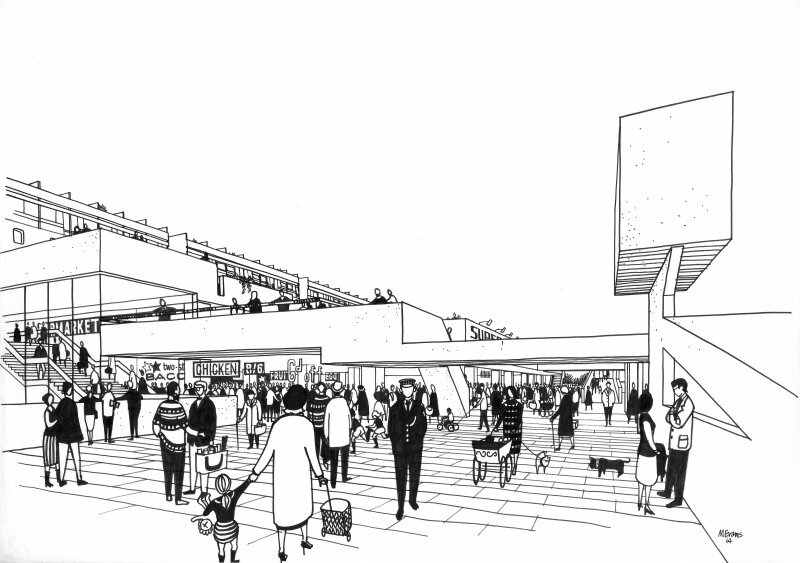 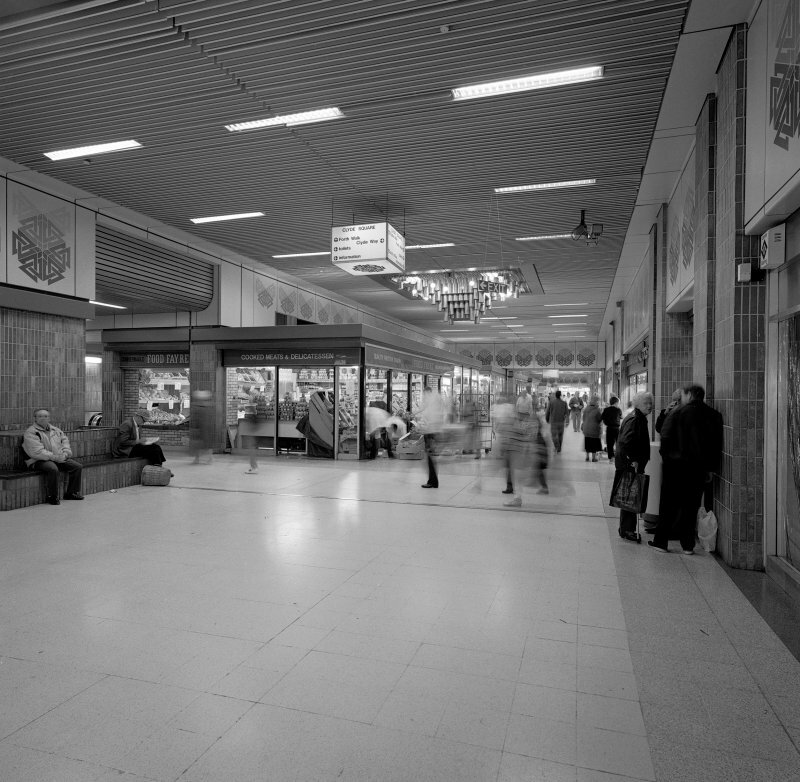 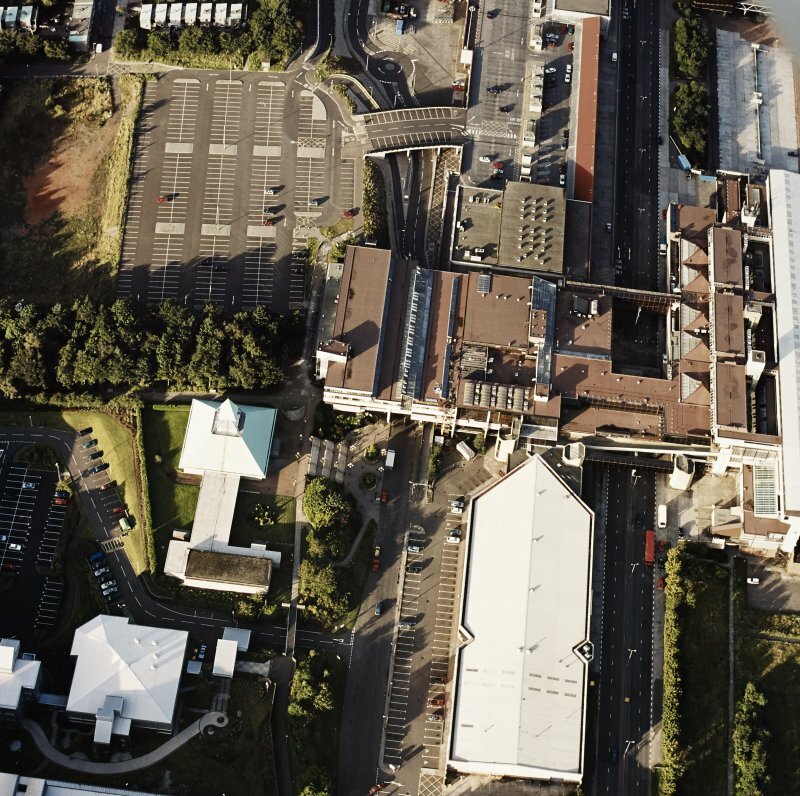 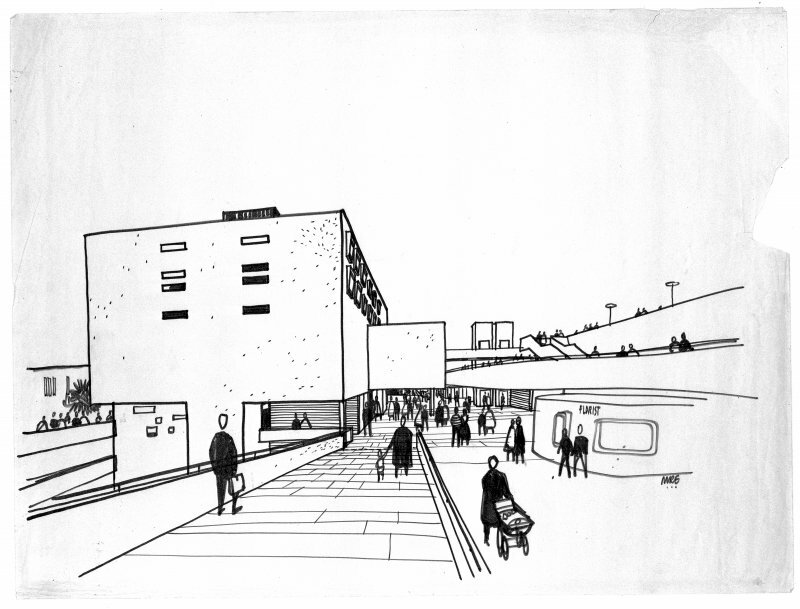 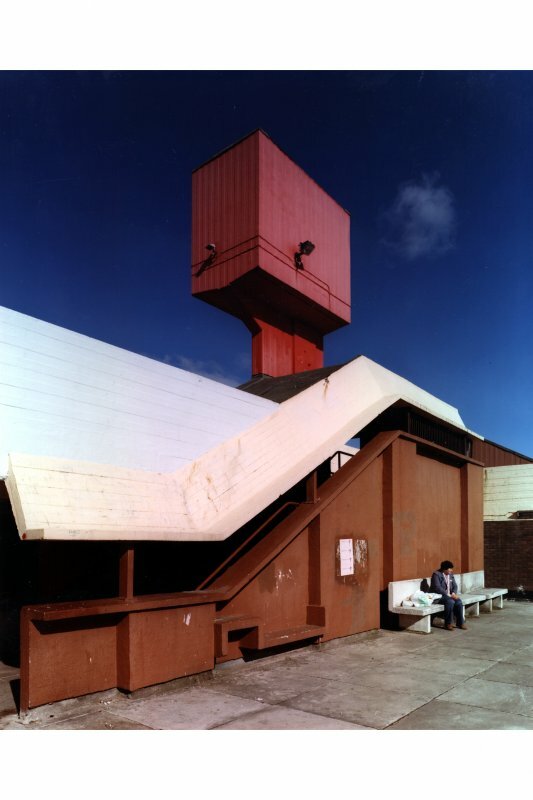 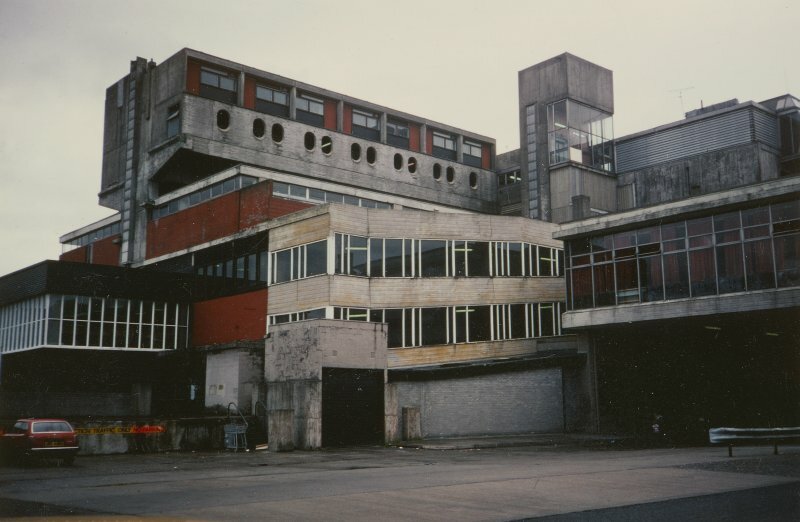 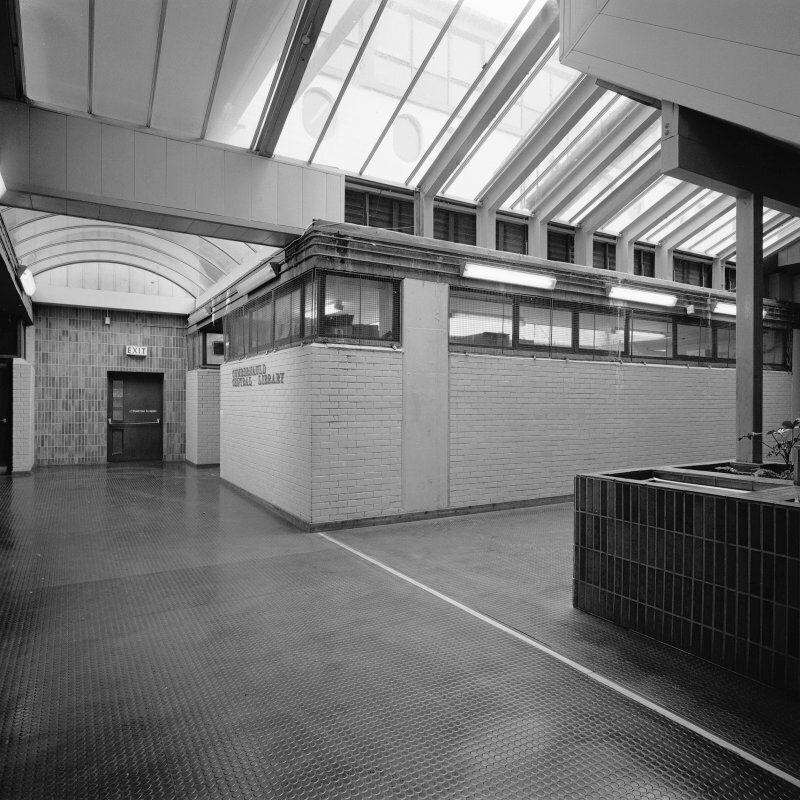 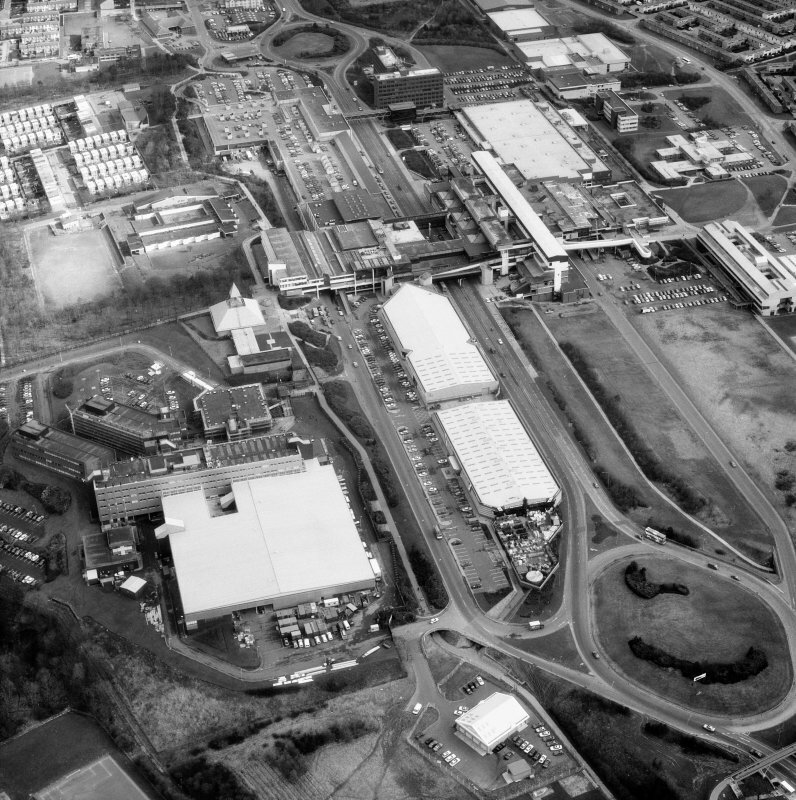 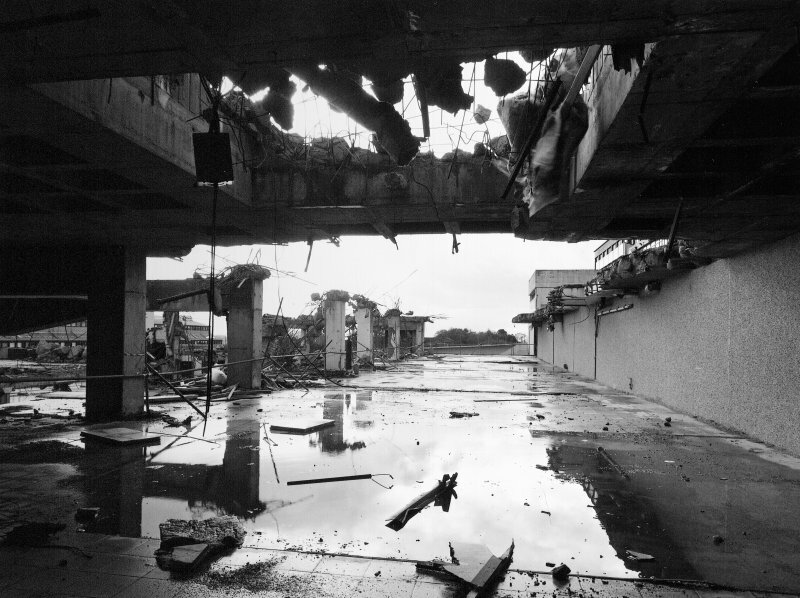 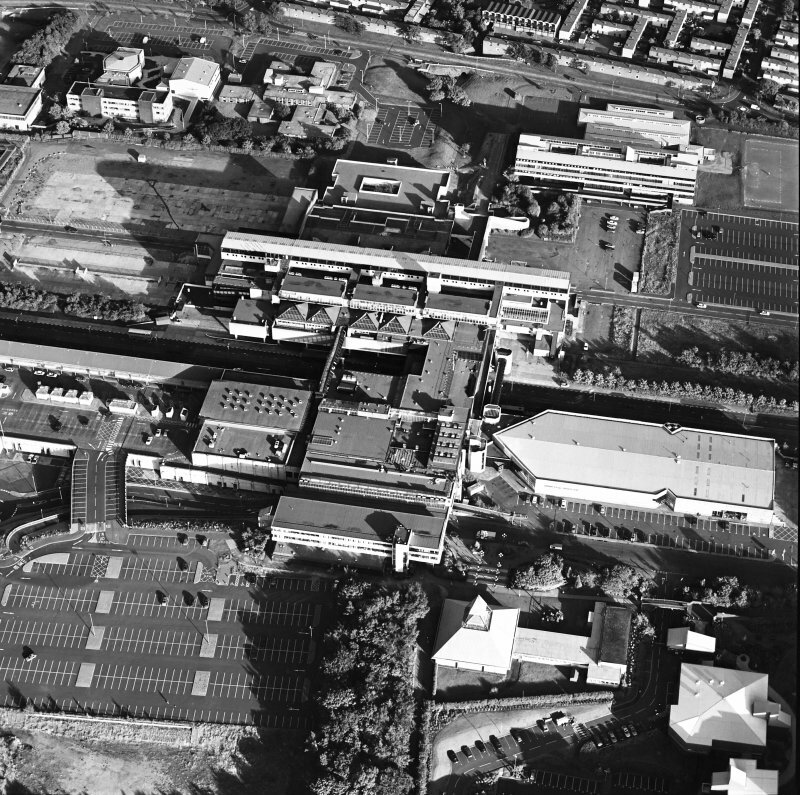 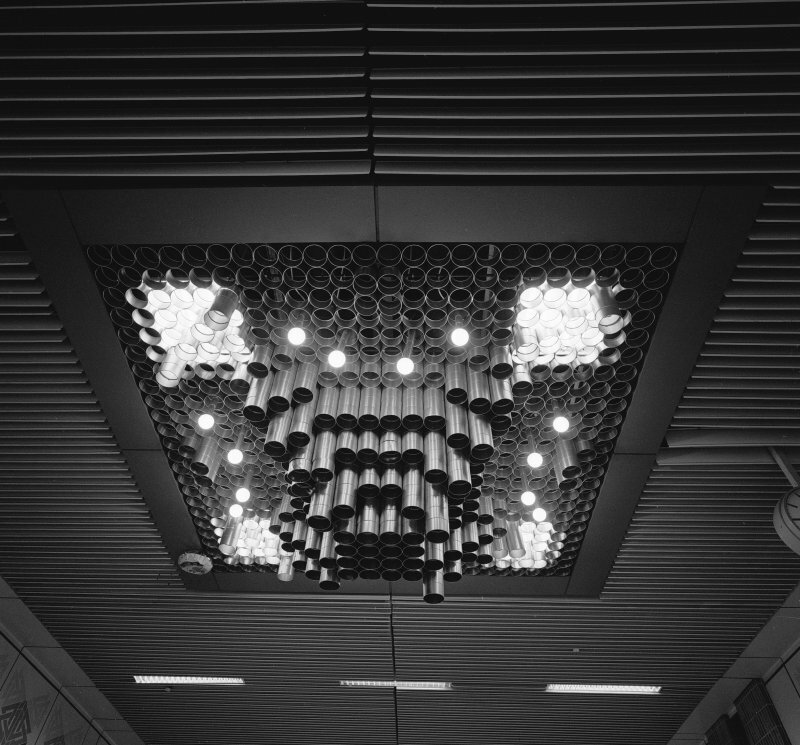 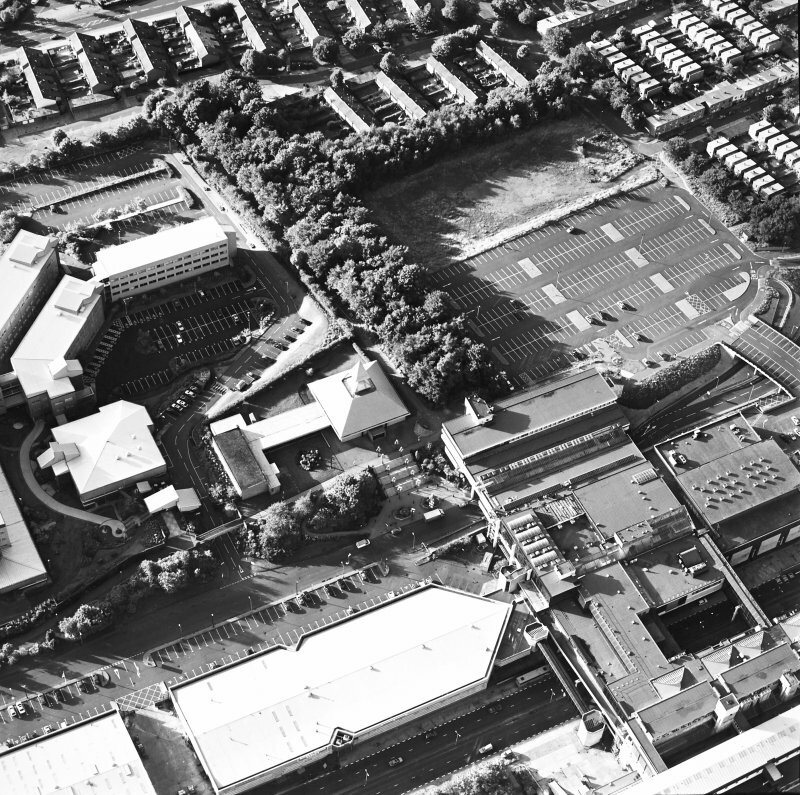 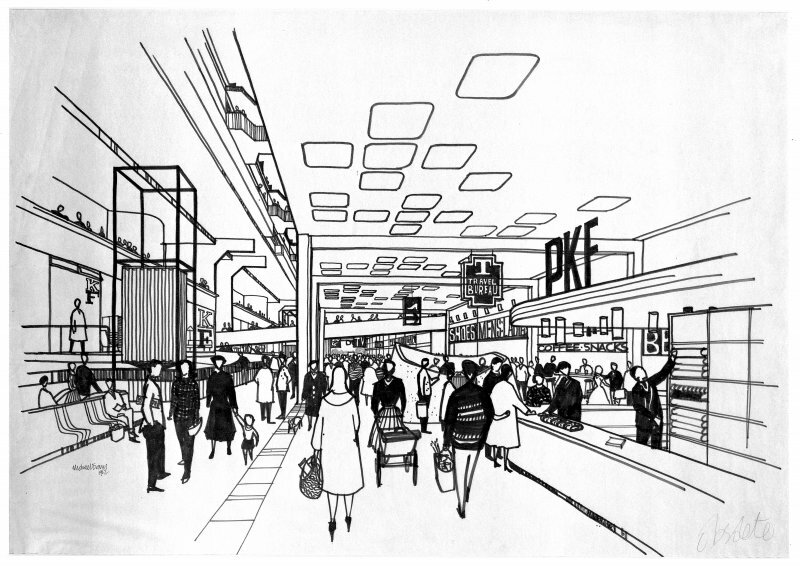 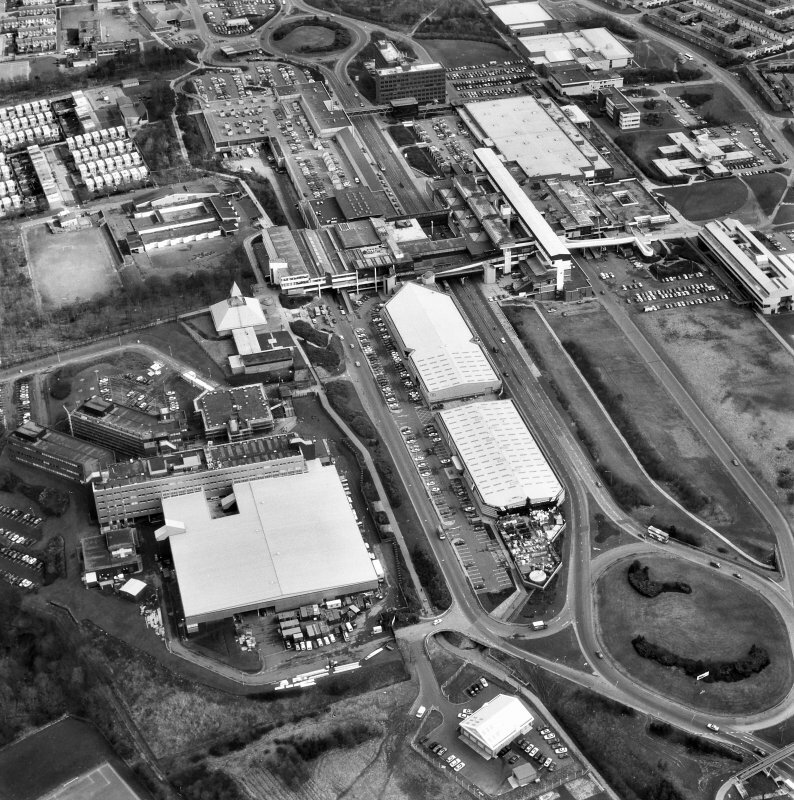 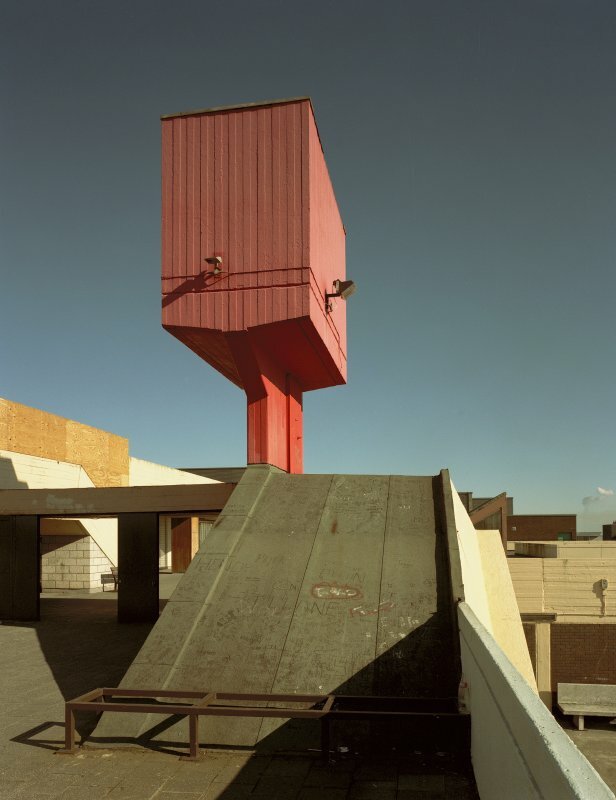 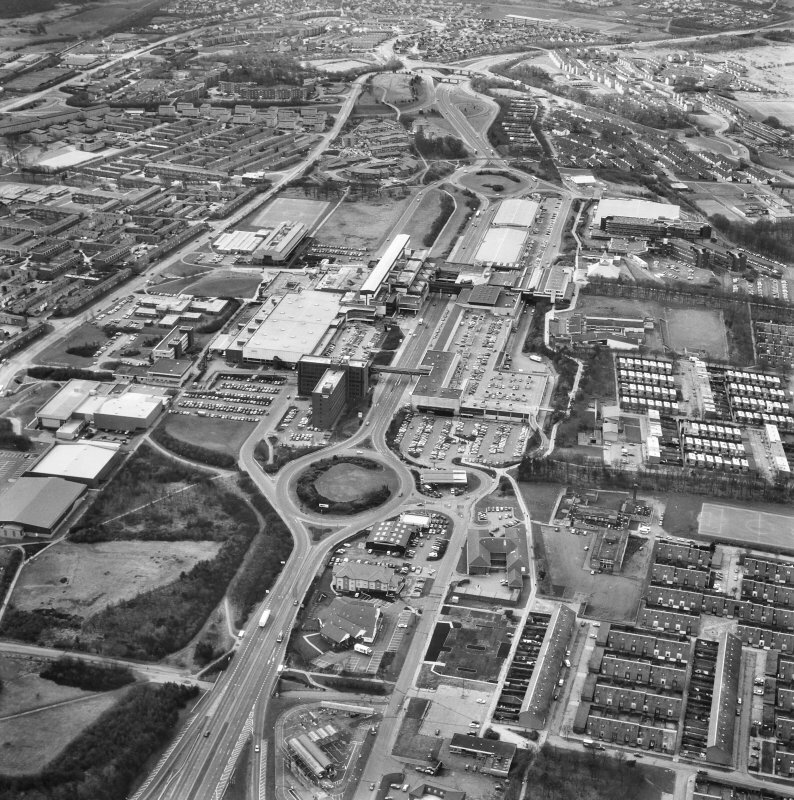 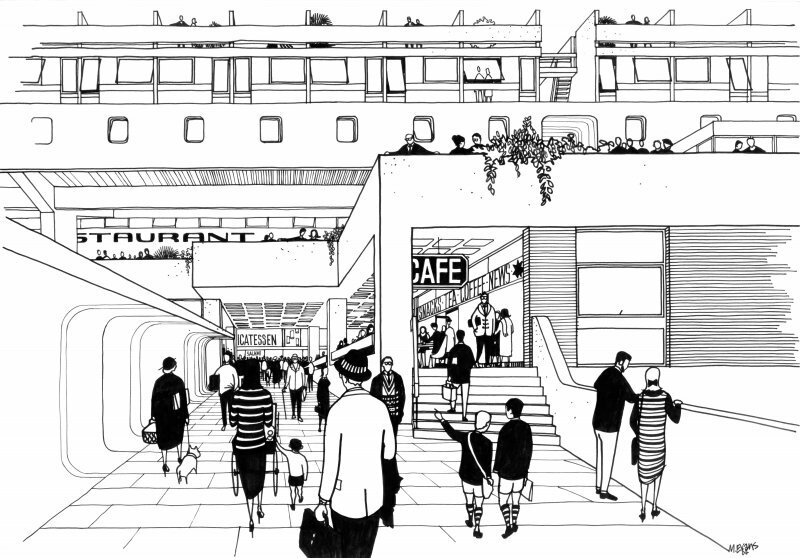 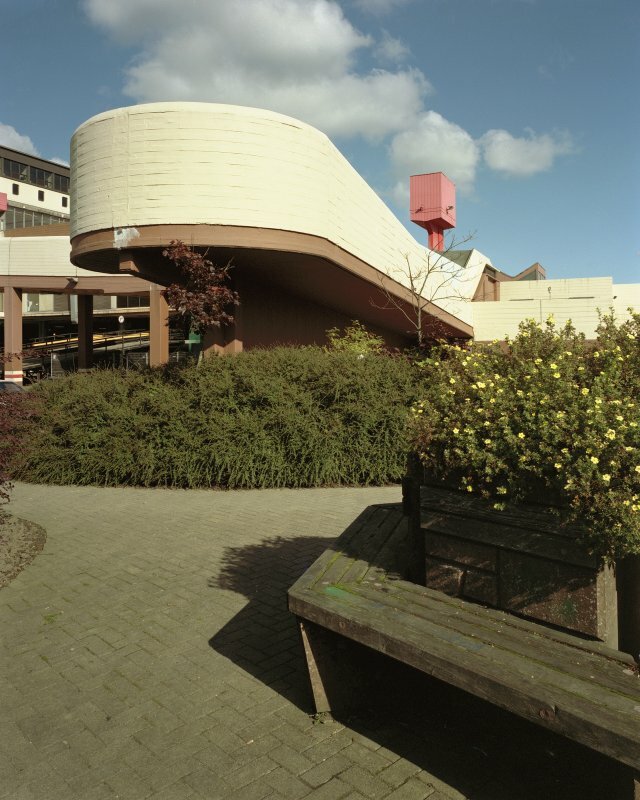 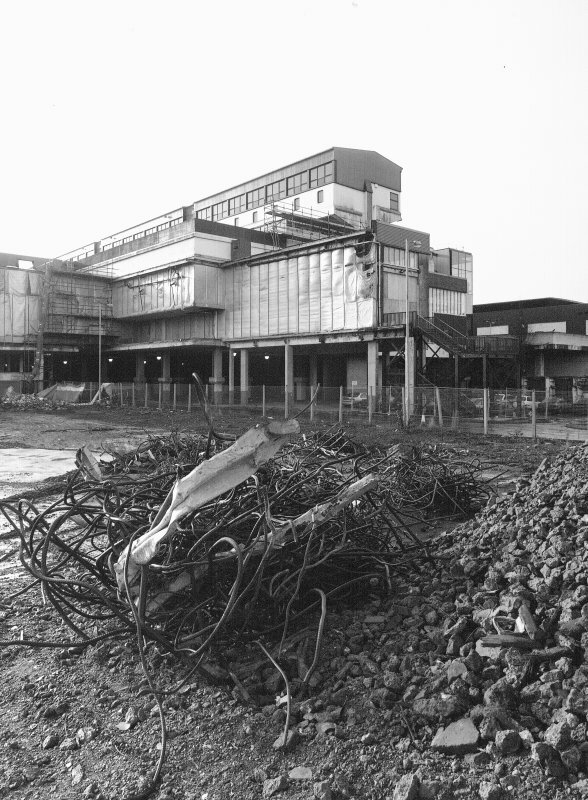 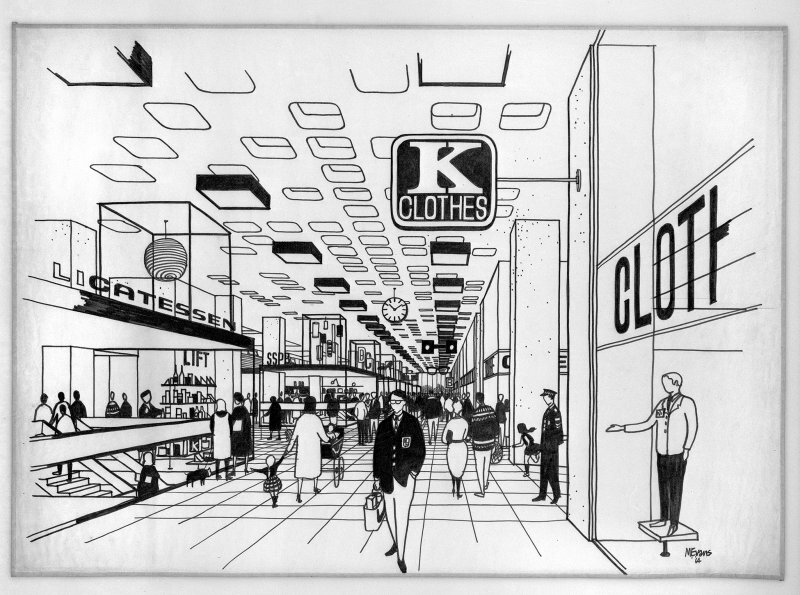 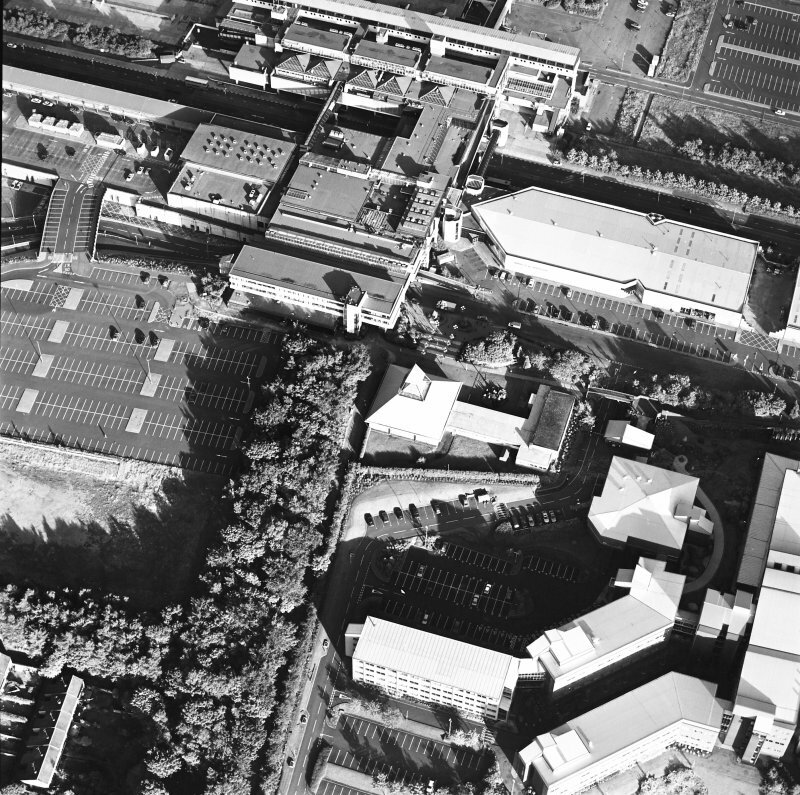 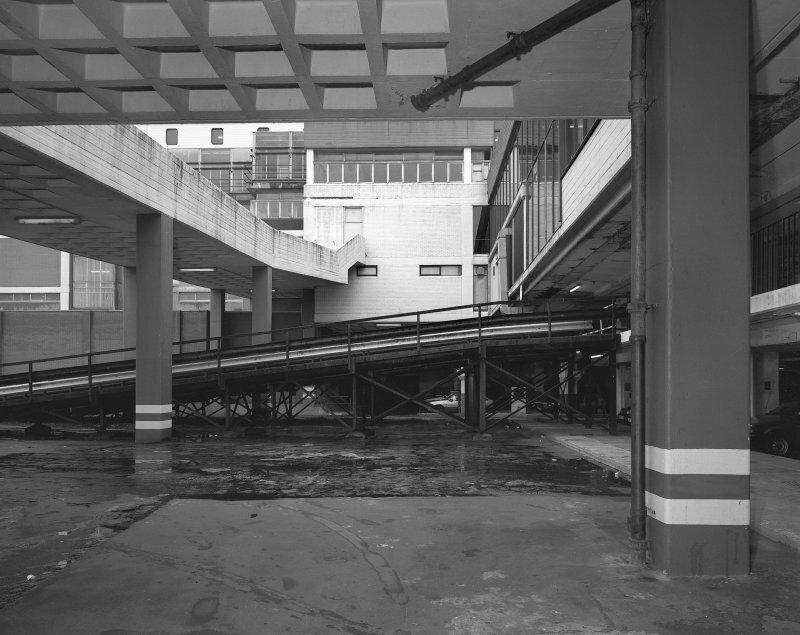 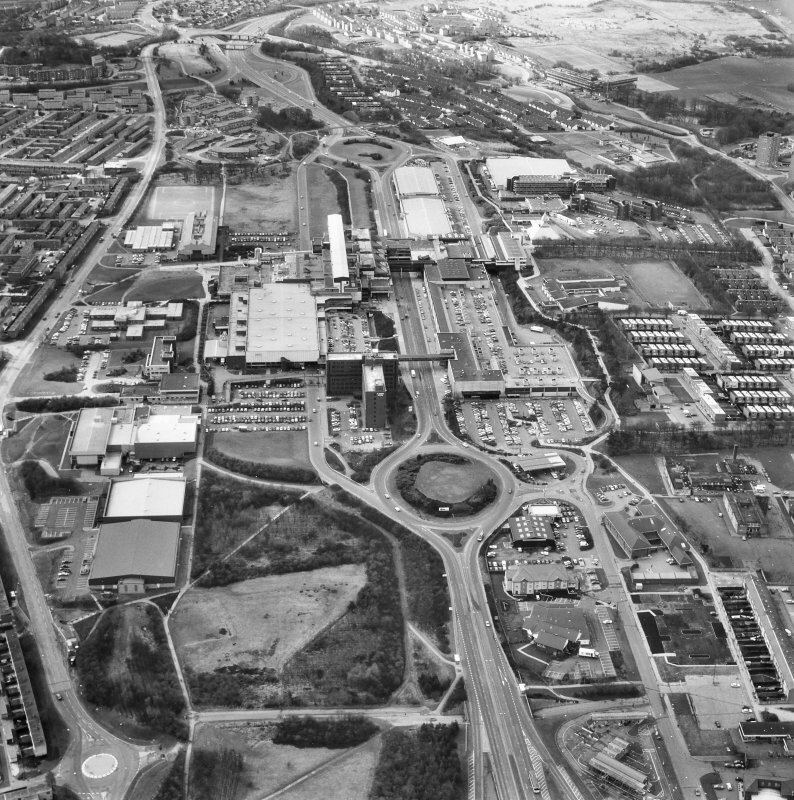 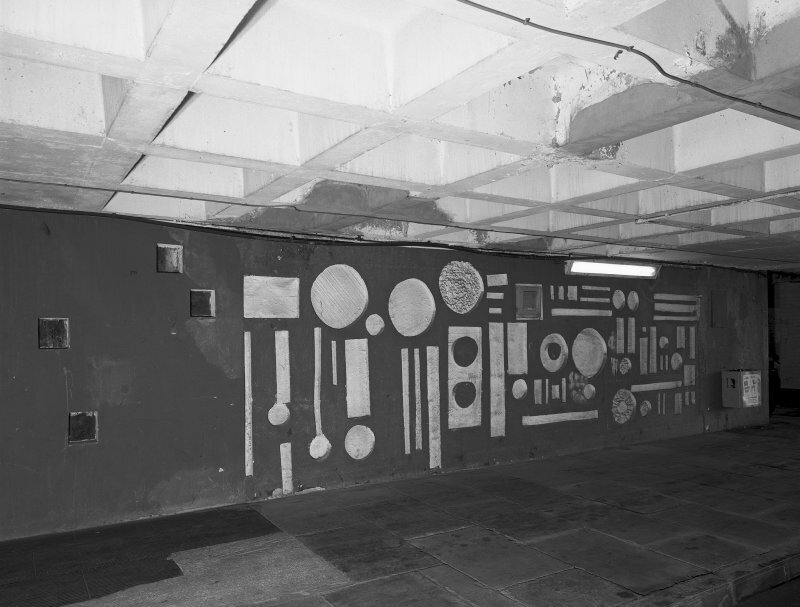 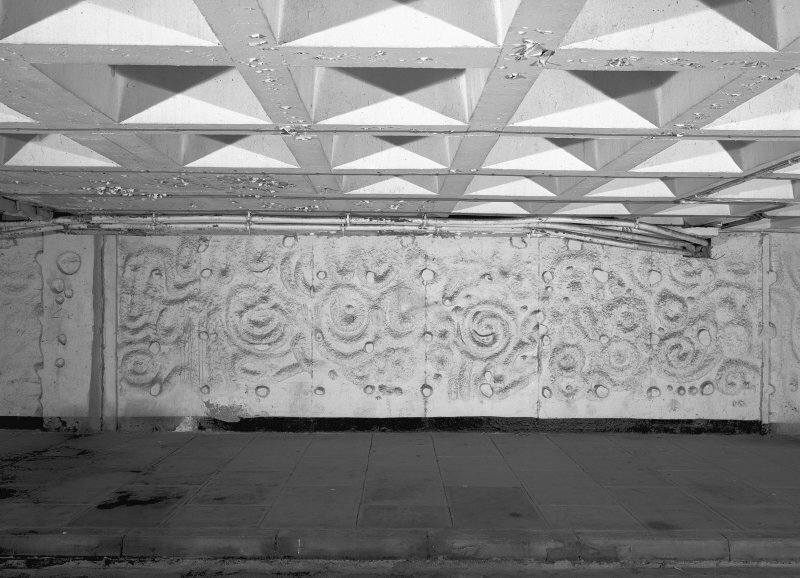 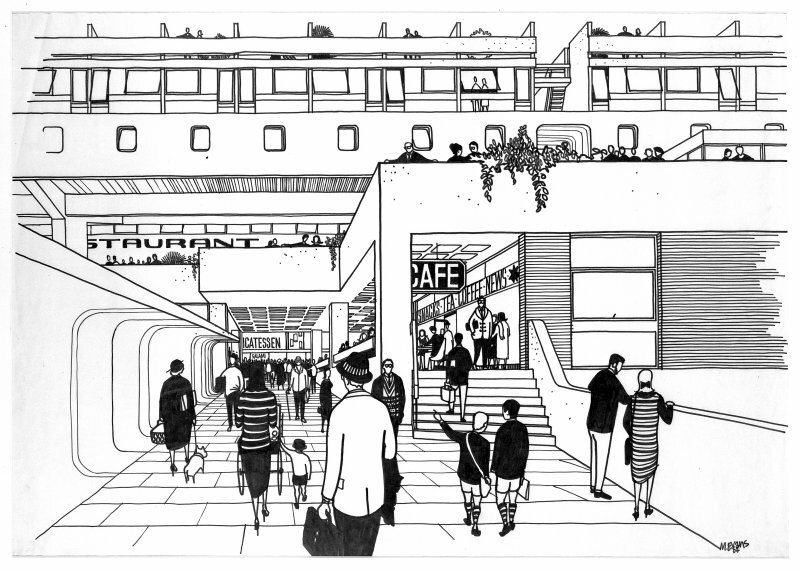 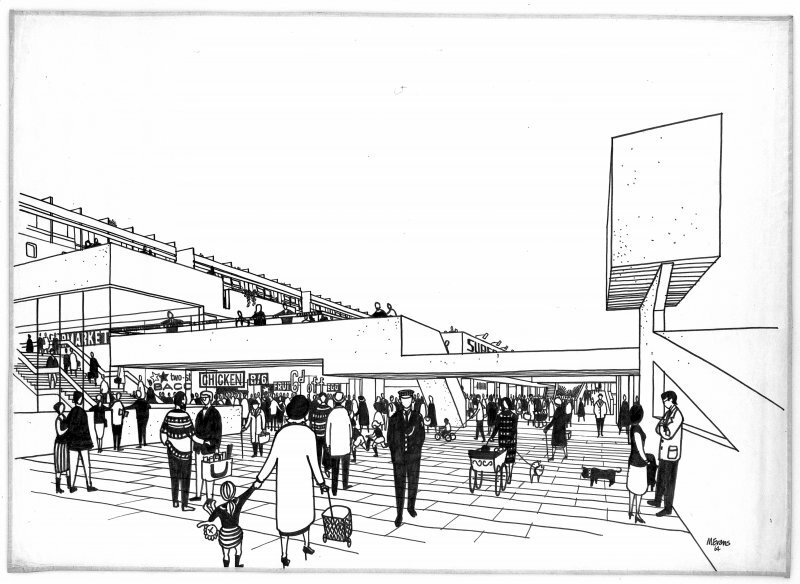 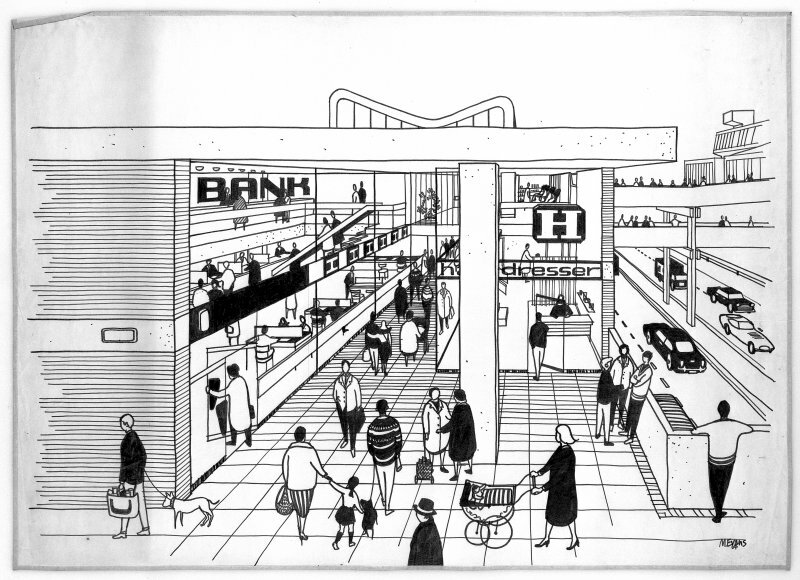 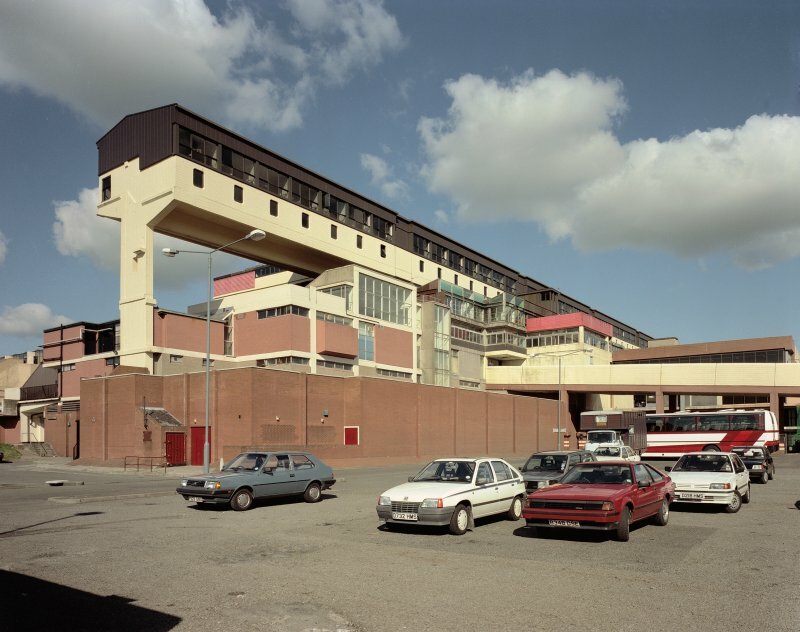 The Town Centre, a huge concrete 'megastructure', was designed to hold Cumbernauld's retail, administrative, cultural and recreational facilities on nine levels, accessed via an on-site bus station and a motorway running underneath. 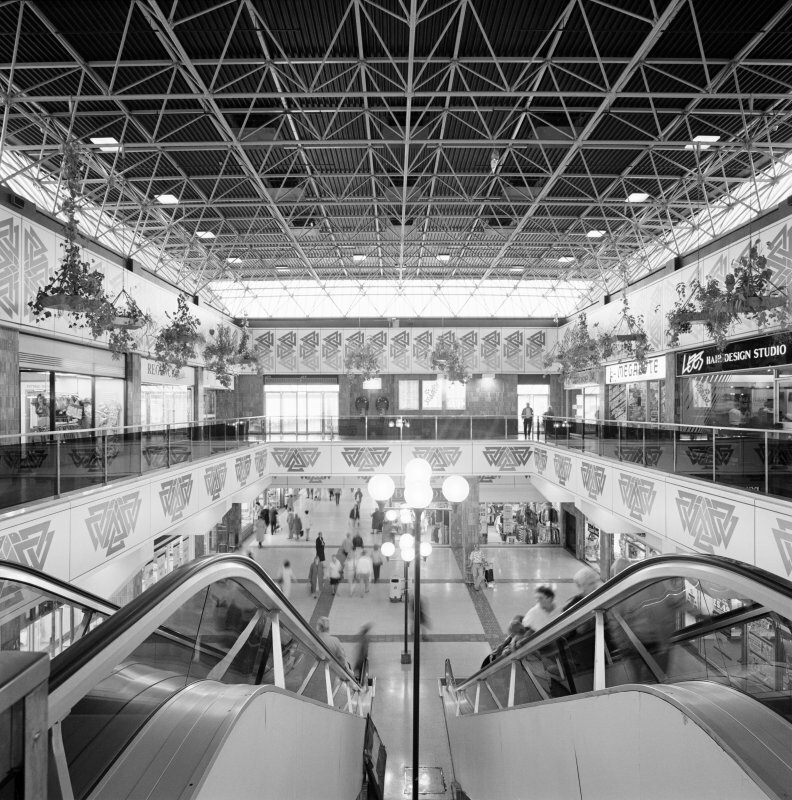 The bold architecture of the Town Centre received international acclaim. 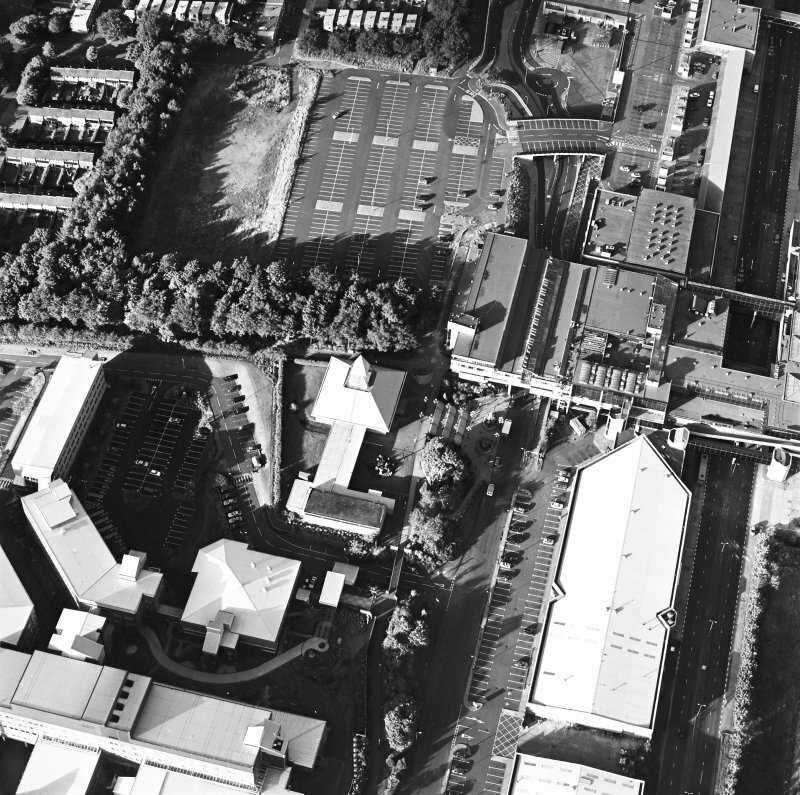 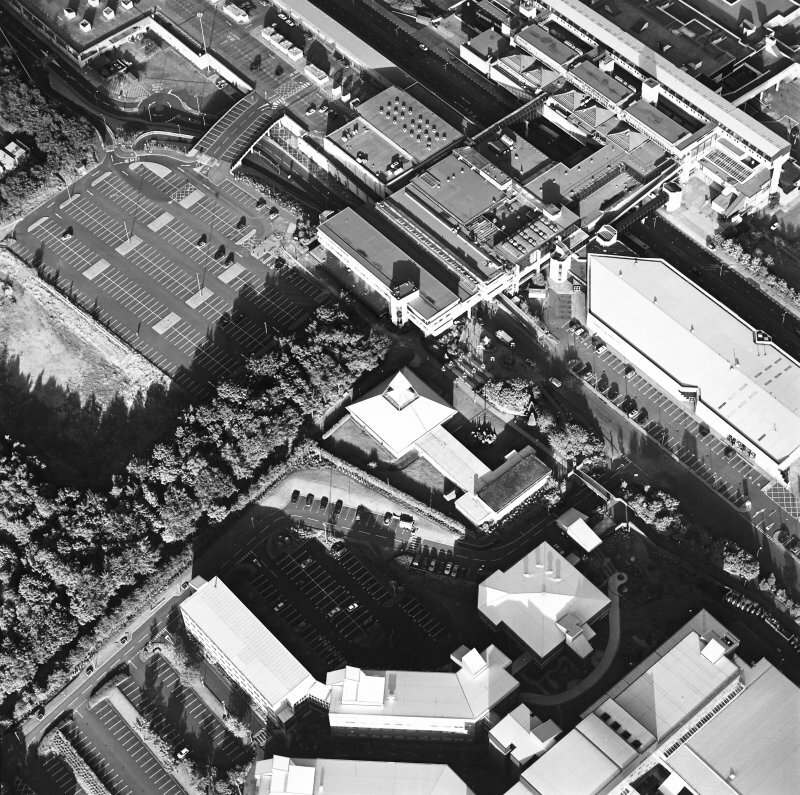 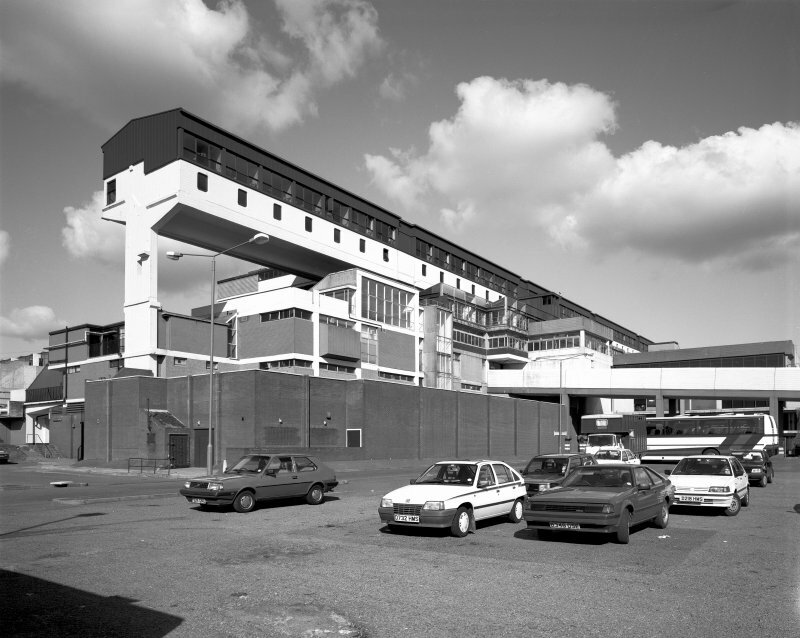 A massive multi-level, multi-function town-centre building set on an elevated ridge, straddling a dual-carriageway through road. 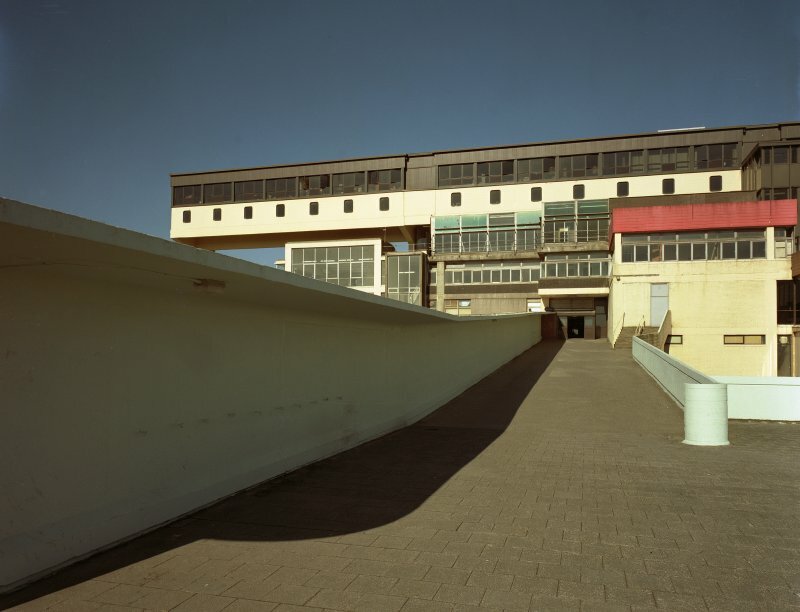 One of the key monuments of postwar European architecture, and the most important postwar work in this country. 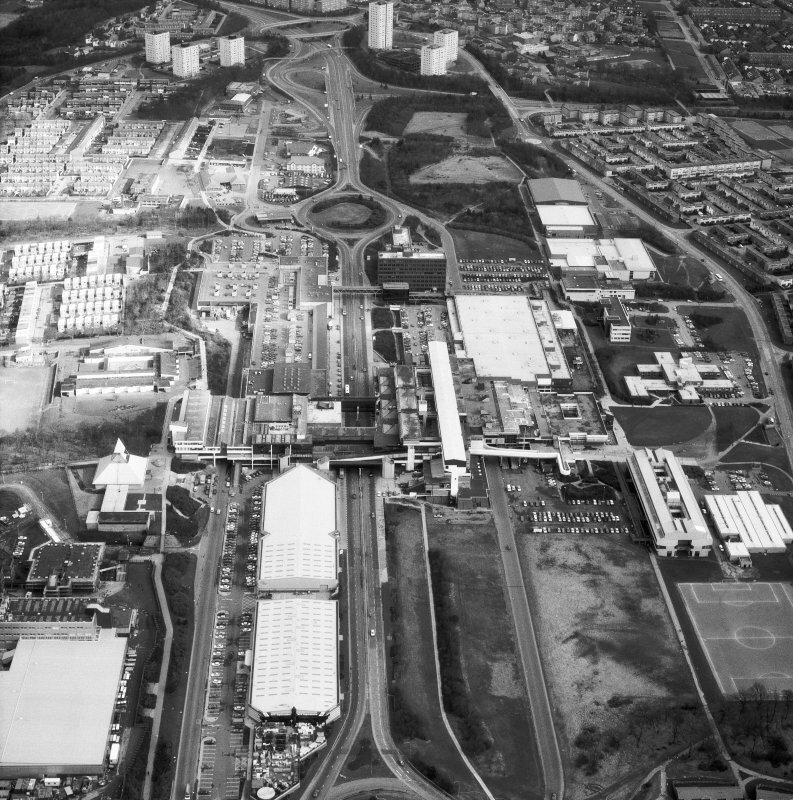 Significant chiefly as the international exemplar of 'megastructural' planning - the conception, central to avant-garde 1950s/60s architecture, of single, agglomerative buildings containing multiple functions juxtaposed in a visually exciting manner with traffic routes. 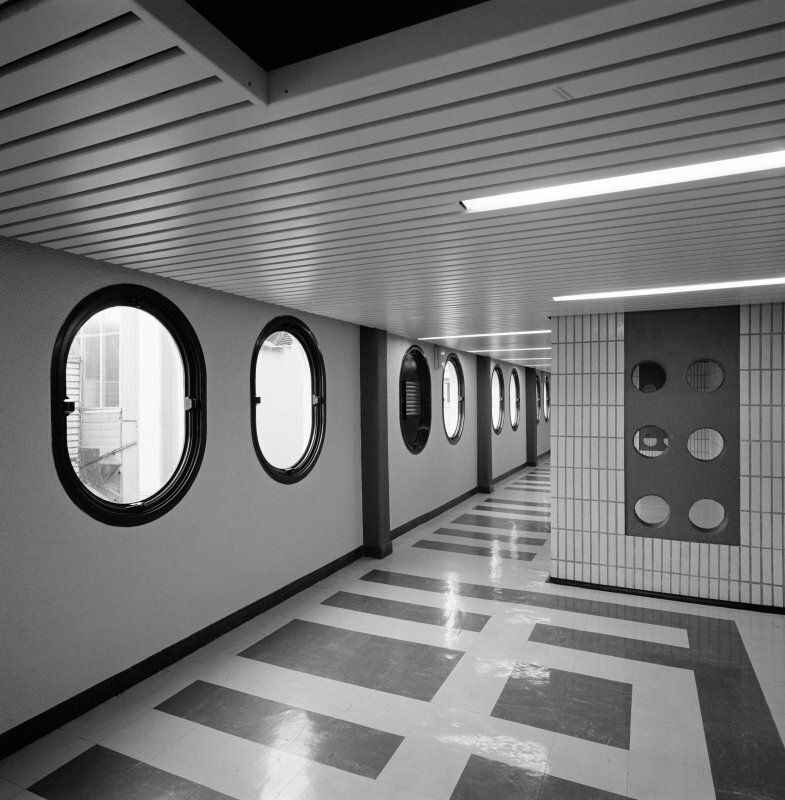 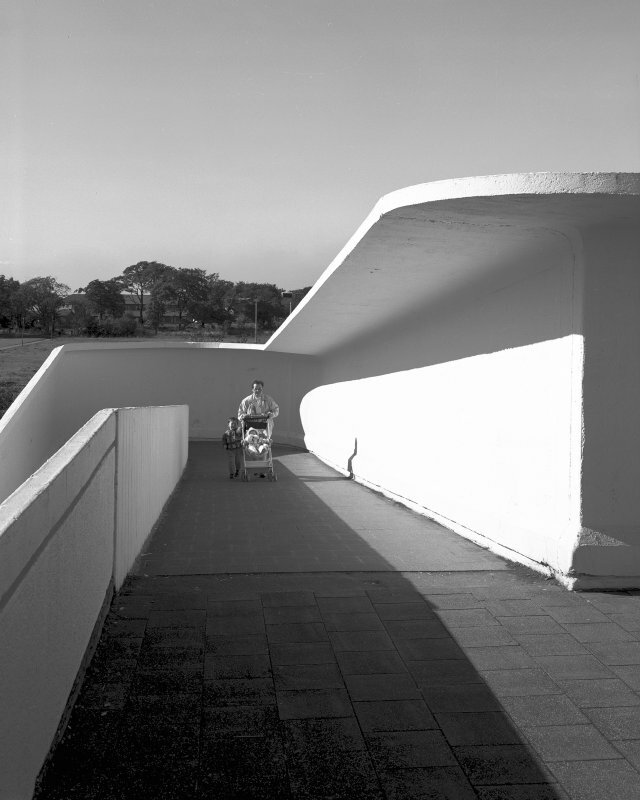 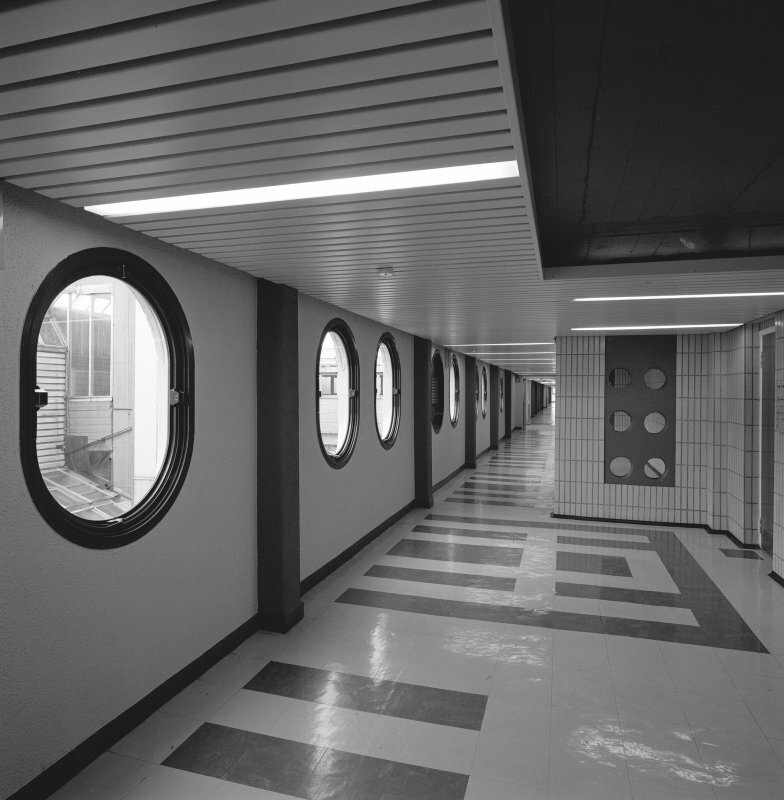 In a postwar context, the Centre is almost completely original as a conception - although possibly influenced, further back, by the multi-level imagery of Italian Futurism, or by Schindler's Lovell Beach House - and it was hailed by International Modern Movement historian Reyner Banham as 'the canonical megastructure'. 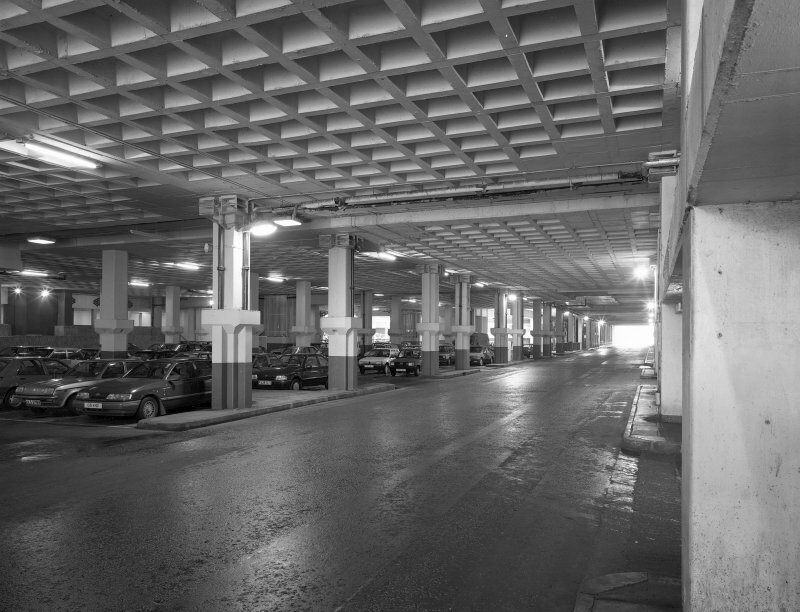 More prosaically: it ws the world's first multi-level covered-in town centre. 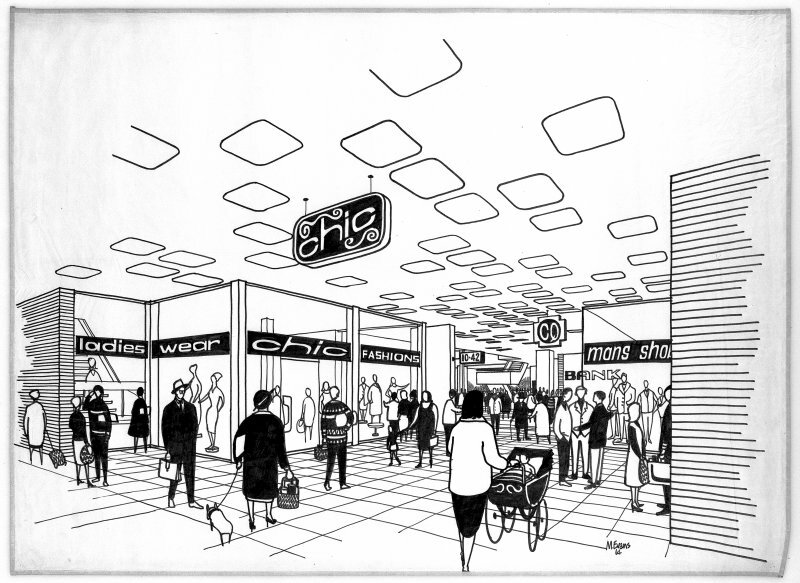 (Figs. 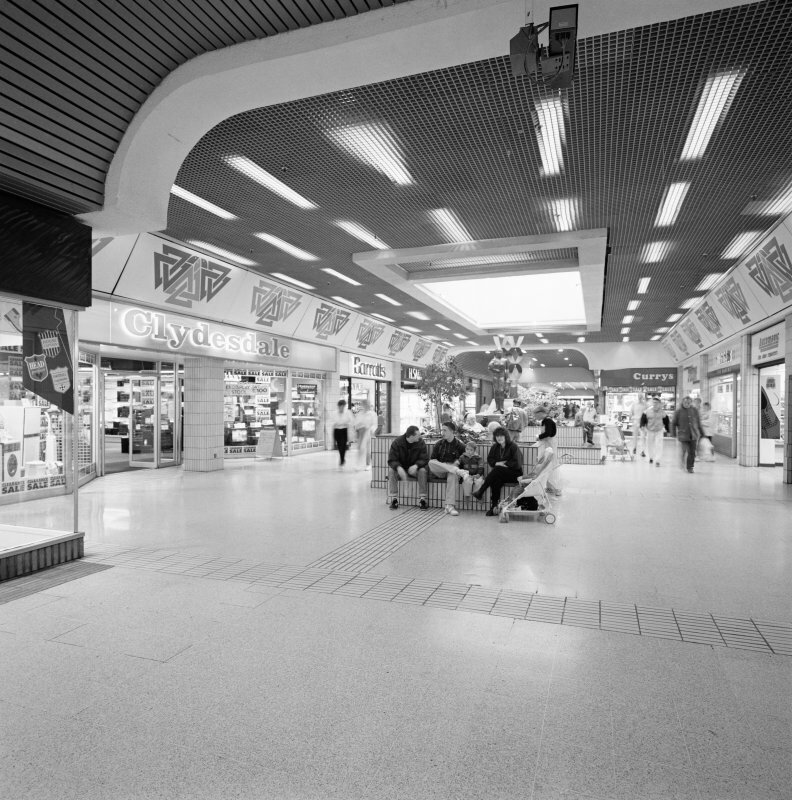 4.45, 4.46).